These General Conditions of Use and Sale (General Conditions) are applicable to all the Products and Services available on the “lucabrogi.com” property sites; unless expressly stated otherwise, any improvement of one or more existing services or any new service promoted by “lucabrogi.com” will be subject to the following General Conditions. These general conditions of sale may be updated or changed by “lucabrogi.com”; changes and additions will be valid and effective from the date on which they will be communicated to Users through publication on the website and will apply to sales made from that date. With the registration, perfected through the procedure described below, the User confirms that he has read, fully understood and accepted the General Conditions without reservation. In the case of consumer user, meaning the natural person who makes the purchase for purposes not related to the commercial or professional activity carried out, the provisions of the Consumer Code, Legislative Decree no. 206/2005 subsequent amendments and additions. Considering the global nature of the Internet, the User undertakes to comply with all the rules applicable in the country of residence relating to the behavior of network users, the permissible content and applicable data transmission laws and the quality of the contents. To access the site and use the “lucabrogi.com” shop to order products, the User must have access to the Internet (any costs and connection costs are exclusively the responsibility of the User) and the necessary equipment (computer, modem or any other connection tool) to allow him to download data, files and digital photographs. TO ACCESS “lucabrogi.com” SERVICES IT IS OBLIGATION TO REGISTER BY THE USER. Registration takes place via online procedure and involves the release by the User of some information, among which in particular and without the list being exhaustive: name and surname, e-mail address. • promptly and constantly update the Registration Data so that these are always current, complete and truthful. Where the User provides false, inaccurate, non-current or incomplete information, or if “lucabrogi.com” considers, on the basis of his own discretionary assessment, that the information provided by the User is false, inaccurate, non-current or incomplete, this The user will still have the right to deactivate, temporarily or permanently, the account of the User in question, preventing any subsequent use of the Service. At the end of the registration procedure, the User obtains the assignment of a personal account to be accessed by means of a reserved User ID (ID) and Password (PW). The “lucabrogi.com” Website and Services are for strictly personal use. The User is solely responsible for the custody and correct use of the credentials to access their Account (responsibility, this, obviously extended to any kind of activity exercisable through its use), and therefore undertakes to carry out correctly and carefully log in and out, to immediately notify “lucabrogi.com” of any unauthorized use of your Account, as well as any other violation of the security rules that he becomes aware of. “Lucabrogi.com” can not in any way be held responsible for any damage deriving from failure to comply with these Conditions of registration, as the User is aware that, in order to regulate access to the service, its authentication is remitted exclusively to the verification of ID and PW. The User is therefore responsible for any harmful consequences or prejudices that may arise, to load “lucabrogi.com” or third parties, as a result of incorrect use, loss, subtraction and / or compromise the confidentiality of ID and PW. All operations carried out through the User Account entail the automatic reconciliation of the operations performed and of the requests made in accordance with these General Conditions, without exception. For Italy, and in the cases provided, the cost of shipping including packaging is € 6,10 including VAT. The orders to be shipped are prepared at the logistics center located in Porcari – Lucca and delivered to the authorized courier for shipping throughout the Italian territory, including the islands and excluding the Vatican State and the Republic of San Marino. The authorized courier for deliveries is chosen by “lucabrogi.com” at the time of the evasion, based on market quotations. The company “lucabrogi.com” commits itself to deliver the orders within 10 working days starting from the day following the receipt of the order validation e-mail, always in case the chosen article allows it. The products ordered by the Purchaser will be delivered to the address stated by the same on the order form. When ordering the Products, the Purchaser will be required to provide the exact address in which he wishes to receive the order. In case of delay, the Purchaser must inform as soon as possible the customer service of “lucabrogi.com”, by writing an e-mail to: contact@lucabrogi.com. “Lucabrogi.com” will get in touch with the courier to check the timing of the delivery. The checks can take several days, but “lucabrogi.com” will undertake to solve all delivery problems within a few days starting from the day of the claim. Upon receipt of the ordered products, the Purchaser must check that the Products comply with those required and that they are not damaged. Any anomaly in the delivery (missing or damaged products, damaged packaging, etc.) must be noted in writing by the Purchaser on the delivery slip presented by the courier. If the Buyer still wants to accept the products must sign the delivery slip that will then return to the courier and must inform the customer service “lucabrogi.com” with an email to: contact@lucabrogi.com specifying the nature of the problem. If the Purchaser is not satisfied with the service, he reserves the right to refuse delivery by not signing the slip presented by the courier. Orders are processed daily in the order in which they will be received. The approval times of the credit card banking circuits are managed according to the authorization timing in place within the specific conditions of the used cards. At the time of payment, select the “Check out with PayPal” button and you will be directed to the Paypal pages where you can pay using your Paypal account or directly with your credit card (also rechargeable), with all the guarantees of PayPal . If the Purchaser does not have a credit card or does not want to use it via internet, he can choose the PostePay top-up of “lucabrogi.com”, simply by going to the post with the card number and the holder that we will provide you at the confirmation of the order. Payment by post has a cost of 1 euro. To use this type of payment it is NOT NECESSARY TO BE A POSTEPAY HOLDER. Payment by post has a cost of 1 euro. The evidence of payment for us is immediate so it is a good choice to receive items purchased quickly. It is important that the recharge is communicated as far as video is concerned we only see the post office of acceptance, amount date and time. If the Purchaser wishes to pay by bank transfer, the data will be provided in the order confirmation email. To speed up the shipment, you will need to send a fax from the accounting to n. 003905831929444. The package will be prepared for payment, accounted for approximately 3 days from the date of payment. The entire production process is completely automated and the shop is active 24 hours a day, therefore, “lucabrogi.com” can not intervene manually after sending the order by the User. If the Purchaser realizes that the order is missing a product, there are damaged items or other types of problems, he must contact customer service at: contact@lucabrogi.com. To satisfy the request made by the Buyer as quickly as possible, “Luca Brogi” recommends keeping the order confirmation number ready. “Lucabrogi.com” undertakes to always do its best to meet the concerns of its Buyers as efficiently as possible. If the Customer is a consumer (ie a physical person who buys the goods for purposes not related to his professional activity, or does not make the purchase by indicating in the order form to “lucabrogi.com” a reference to VAT number) and buy something and you receive it damaged or not in compliance with the order, you can return, within 7 days from the date of delivery of the order, the Products purchased, and will be reimbursed with the price paid within 14 days with cancellation or bank transfer. If the Purchaser buys the “lucabrogi.com” Products from unauthorized dealers or from other unauthorized sources, “lucabrogi.com” can not offer the money back guarantee as per the General Conditions of Sale. For more information on the return of products, “lucabrogi.com” advises Buyers to send an e-mail to: contact@lucabrogi.com. At the moment the products ordered on “lucabrogi.com” can be sent to the following countries as well as in Italy. EUROPE: AUSTRIA – BELGIUM – BULGARIA – CROATIA – DENMARK – ESTONIA – FINLAND – FRANCE – GERMANY – NETHERLANDS – LITHUANIA – LATVIA – IRELAND – LUXEMBOURG – POLAND – PORTUGAL – UNITED KINGDOM – CZECH REPUBLIC – ROMANIA – SLOVAKIA – SLOVENIA – SPAIN – HUNGARY – GREECE – SWEDEN 12.20 € including VAT. REST OF THE WORLD: UNITED STATES OF AMERICA € 48.80 VAT included. The Purchaser can freely consult the website www.lucabrogi.com to have a list of all the countries where the products can be shipped. The site offers various purchase options: images printed on photographic paper, mounted with frame, or mounted on a lightweight panel for a quick and economical solution. The image can also be purchased in the form of a digital file for other uses. You can use files by choosing from the Usage options: Small, Medium and Large. Select the file format you need based on your needs. With the Small or Medium License the image can be used in any illustrative project, the license is royalty-free, on any medium (printed or electronic), the images have no geographical restrictions or expiry date. Lucabrogi.com images can be used in almost all contexts, such as: blogs, e-mails, web / electronic use, websites, web banners, presentations and TV and video productions, advertisements, films, billboards, billboards, business cards, slides shows, splash screens of mobile phones, newsletters, PDF documents, press articles, books, illustrations, brochures, leaflets, documents, packaging … The use of images and videos under the Small or Medium License is limited to 500,000 copies. 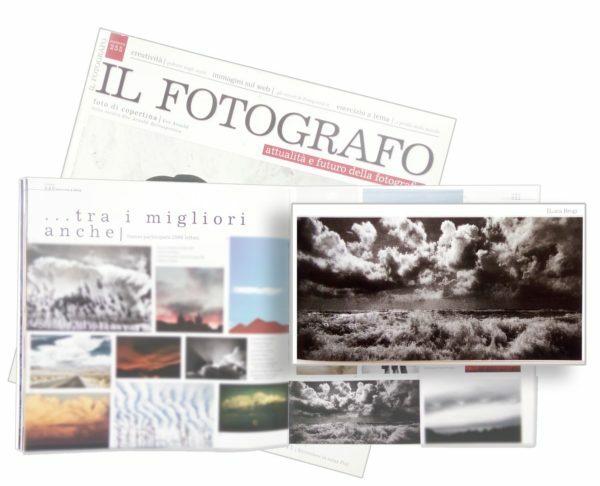 With the Large License in addition to the acquired rights of Small or Medium Licenses, it is also possible to use the file for resale or distribution of articles where the lucabrogi.com file has an important value in the product. Postcards, objects, t-shirts and clothing, calendars, print and presentation templates, posters, furnishing accessories, videos, video applications and more. “Lucabrogi.com” has the full power to deactivate or delete the User Account or to stop access to the Service, or to remove, move or refuse the dissemination of a Content within the Service for any reason, in particular: (i) due to the absence of use of the Account for a period of six months, (ii) if “lucabrogi.com” has legitimate reasons to consider that the User has violated or acted in contradiction with the General Conditions and (iii) in case of behavior considered by “lucabrogi.com” as harmful for other users, for the activity of “lucabrogi.com”, or for third parties. Any provision taken by “lucabrogi.com” in relation to the Account and the faculty of access to the Service by the User may intervene immediately and without prior notice, without any liability being attributed to “lucabrogi.com “In relation to it. These General Conditions and the relationships between “lucabrogi.com” and the distributor (on one side) and the User, on the other, are governed by the law of the Italian Republic. For any dispute concerning, arising from or in any way connected to these General Conditions or the use of the Service, the Court of Lucca will be competent, excluding any other, or, in the case of Consumer User, the competent Court will be determined pursuant to art. 66 bis of the Consumer Code. These General Conditions constitute the only and exclusive agreement between the User (on one side) and “lucabrogi.com” and the distributor, on the other: these prevail over any previous agreement between the aforementioned subjects. The User must also comply with any General Conditions relating to the use of complementary Services or connected to the contents of third parties or relating to the rules of use of third party software. The failure of “lucabrogi.com” to exercise its right under the law or these General Conditions does not in any case renounce the right itself. It is understood that, should one or more provisions of these General Conditions be declared invalid by the competent Judge, the effectiveness of the additional clauses, as stated above, as well as of the other General Conditions that preceded, shall in any case remain binding.